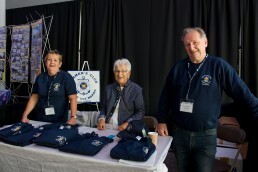 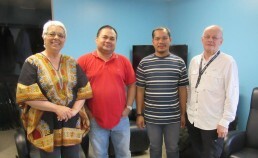 Over the past 20 years, the Seamen’s Club has welcomed more than 55,000 seamen from all over the world: Europe, Eastern Europe, Asian countries such as Korea, China and the Philippines, as well as Central and South America. 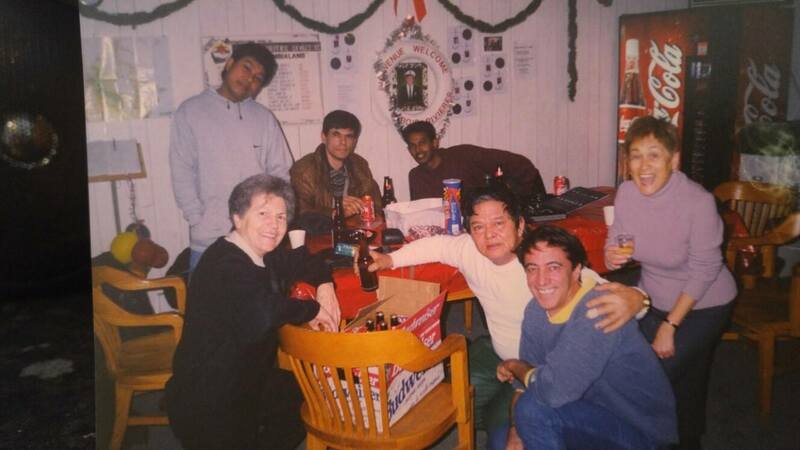 The Seamen’s Club is a place of welcome and comfort after a long journey at sea. 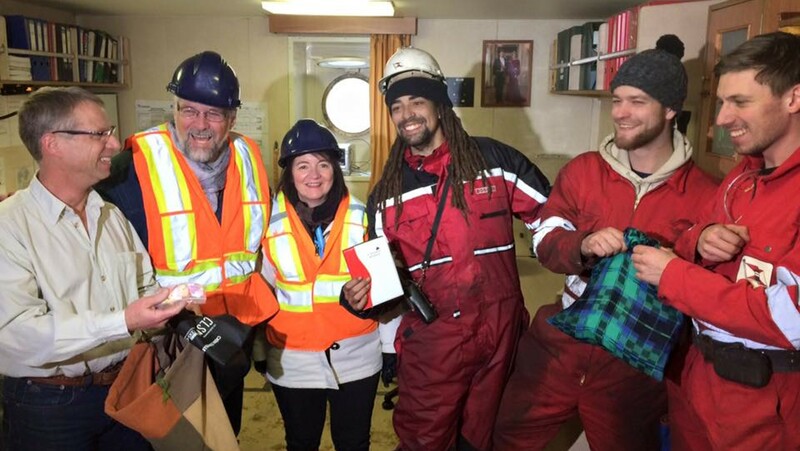 As soon as they arrive in Trois-Rivières, the crews are informed of the various services offered on site and the activities to be done in Trois-Rivières. 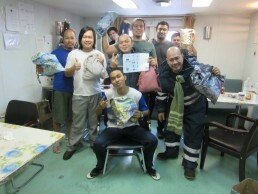 The 25 generous active volunteers throughout the year offer moral support when sailors need comfort, help to respond to emergencies back home and send money to their families. 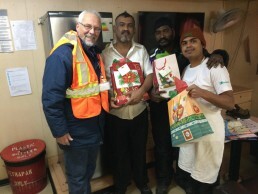 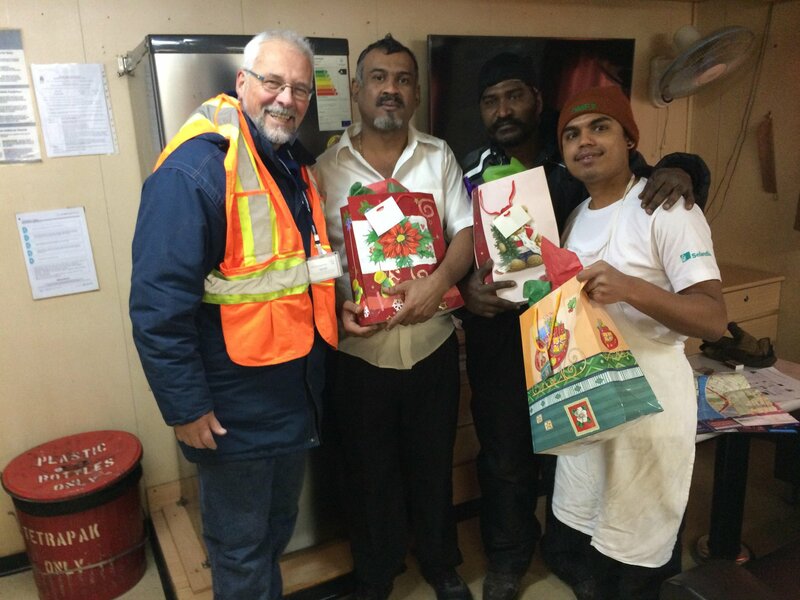 From December to the beginning of January, more than 300 gift bags will be prepared and given to the seamen visiting Trois-Rivières in order to make their holiday season more enjoyable. 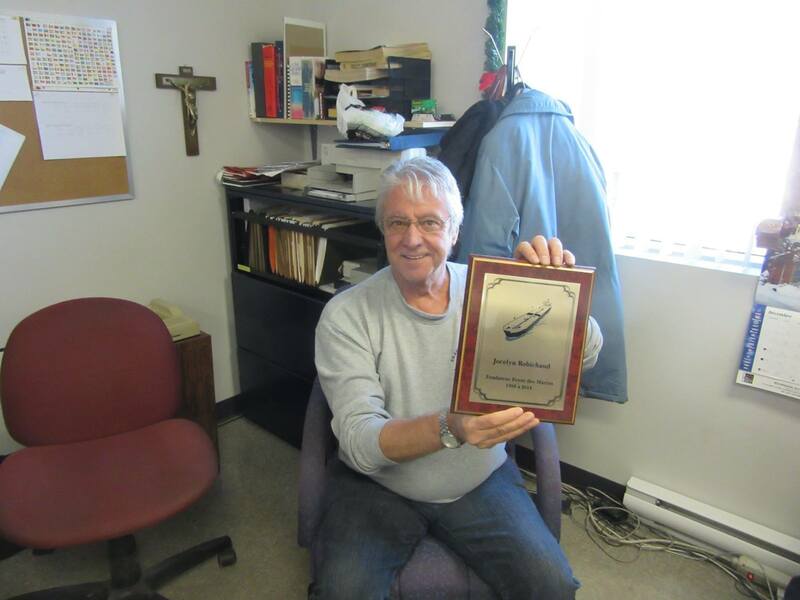 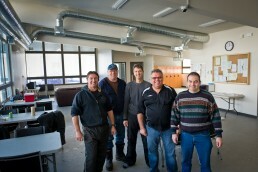 A non-profit organization, the Seamen’s Club in Trois-Rivières relies on donations of money, services and equipment to fulfill its mission. 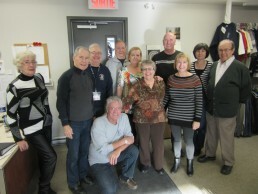 People who wish to dispose of clothing or donate non-perishable food items can also bring them directly to the Club’s office at 132 rue de la Commune. 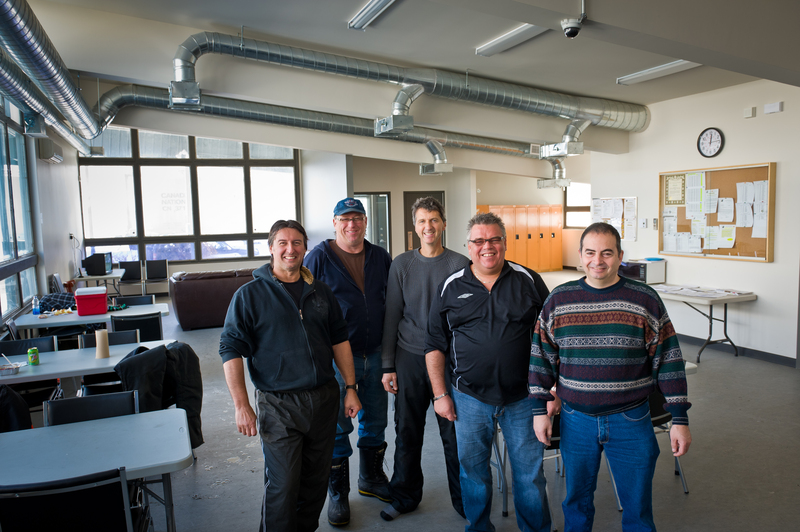 The organization’s board of directors is made up of representatives from the diocese, the St. Lawrence Pilots Corporation, the community, volunteers and the Trois-Rivières Port Authority, which provides free premises located near the docks.